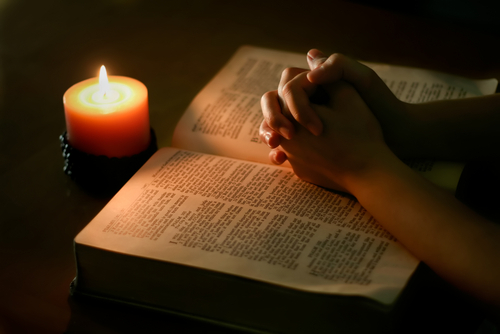 Prayer at Other Times (BCP 138-140) | Read. Pray. Love. Daily. Blessed Savior, at this hour you hung upon the cross, stretching out your loving arms: Grant that all the peoples of the earth may look to you and be saved; for your mercies’ sake. Amen. pure brightness of the everliving Father in heaven, O Jesus Christ, holy and blessed! and our eyes behold the vesper light, we sing your praises, O God: Father, Son, and Holy Spirit. Scripture and the breaking of bread. Grant this for the sake of your love. Amen.